In Search Of? 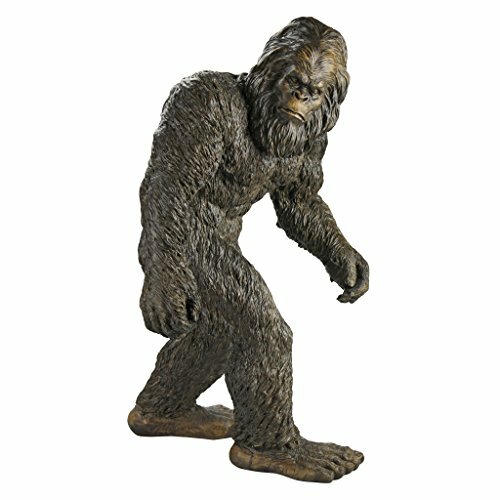 The hunt for the mysterious Bigfoot ends here! With glow in the dark parts, this frighteningly fun kit will allow even the youngest of modelers to track down the creature at night. This creepy kit measures approximately 10 inches tall. The sculpt and parts are highly detailed right down to his fangs. Bigfoot is sure to be a big hit! Kit is molded in brown and glow-in-the-dark; Classic kit released for the first time in over 30 years; Optional glow in the dark parts; and Made In The U.S.A. Paint colors needed: Brown, Flat Military Brown, Flat Black, Flat Red, Gray, Flat Olive Drab, and Green.